Official application of the Municipal Transport Company of Valencia that was renewed in 2017 to adapt to the new needs of users and service. An ad hoc development of Cuatroochenta, five years and 500,000 downloads after the first version, which makes it one of our most successful and successful applications. 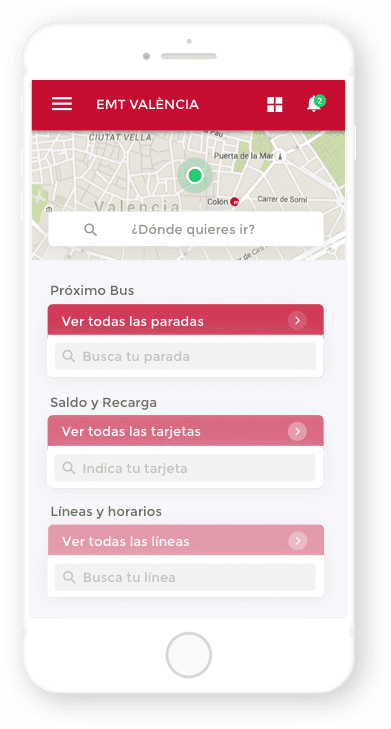 The app works as a personalized user assistant when traveling around Valencia in sustainable transport (bus, metro, tram, Valenbisi, private bike and on foot), taking full advantage of GPS technology. 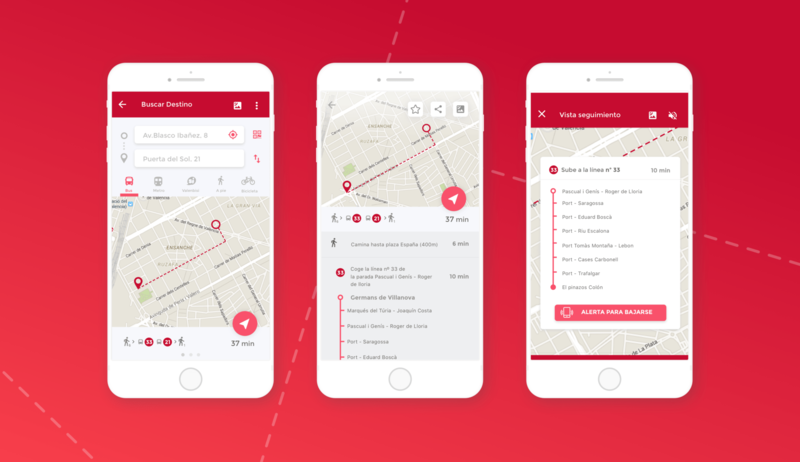 In addition to a complete redesign, the application presents new features such as the creation of alarms and notifications to warn of the arrival of the bus and the stops, visualization of the position of the buses, the Metro station lines and the available bikes of the Valenbisi service or the possibility of contacting the Customer Service Office. Official application of the Municipal Transport Company of Valencia (EMT). All the information you need to get around the city of Valencia on Sustainable Transportation (Bus, Subway, Tram, Valenbisi, biking and walking). 4. Choose – among three options – the route that suits you better. 2. Check the balance on your card. 5. Locate stops and points of sale close to your position via GPS. 3. Calculate routes to any address or any place of interest by any means of sustainable transport, by one of them or in combination. 6. Get the estimated arrivals by reading the QR code at the stop.